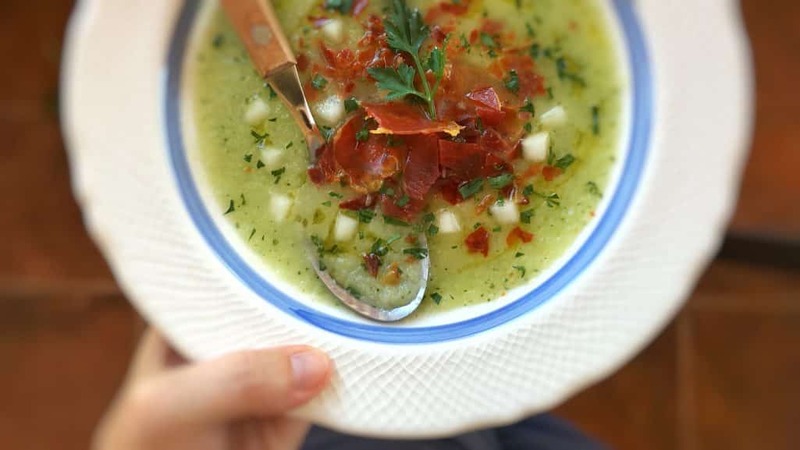 Chilled Melon Soup with Crunchy Ham | Simple. Tasty. Good. I was in La Laguna about 2 weeks ago and for dinner we chose to go check out La Comarca, number 1 restaurant in town according to TripAdvisor. Chilled melon soup was one of the appetizers, with bits of crunchy ham on top. Delicious. Thought it would be a great lunch idea to try at home, especially now that the weather is extremely hot. I used a piel de sapo melon for my recipe but any other melon will taste great here, even watermelon and cantaloup. 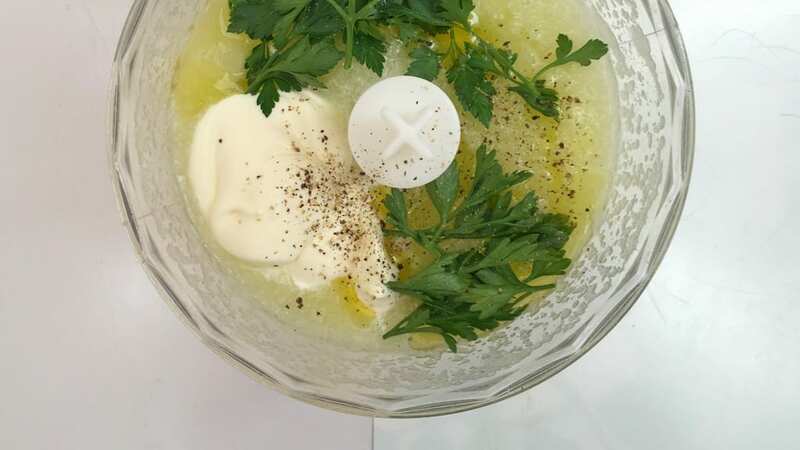 Depending on what cream you are using, the cream might start to kind of curdle after blending the melon soup. You will very clearly see white cream specks. If that happens: pour the melon soup in a medium saucepan and just warm it through over medium-low heat. 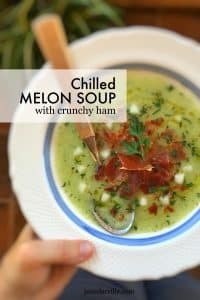 Don’t let the melon soup boil or it will loose lots of flavor. Whisk the soup until the cream has dissolved into the melon soup. Then immediately put the soup in the fridge to chill. Love chilled soups? Then also check out 2 other Spanish treats: salmorejo and ajo blanco! Peel the melon and remove the seeds. 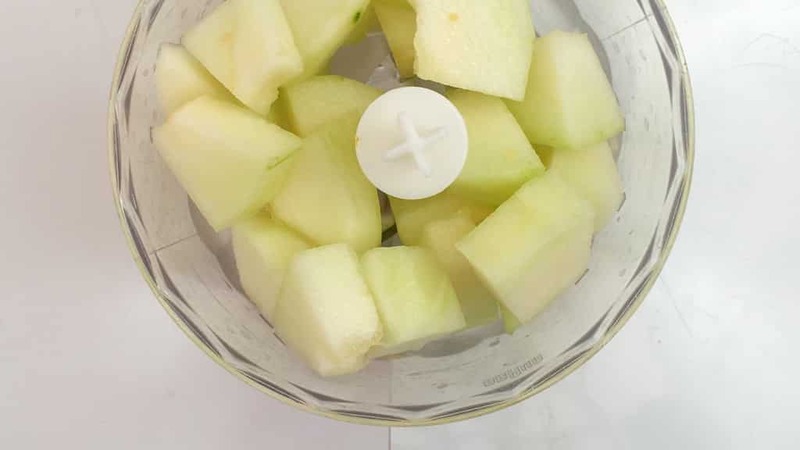 Chop the melon up into smaller bits and add them to a blender (keep one chunk aside and dice it up for garnish). Puree the melon. Then add the cream or yogurt, the parsley and the olive oil. Season with a pinch of pepper and salt. Blend the melon soup again. Check the seasoning and add extra pepper or salt to taste if necessary. Chill the soup in the fridge for now. In the meantime bake the ham. 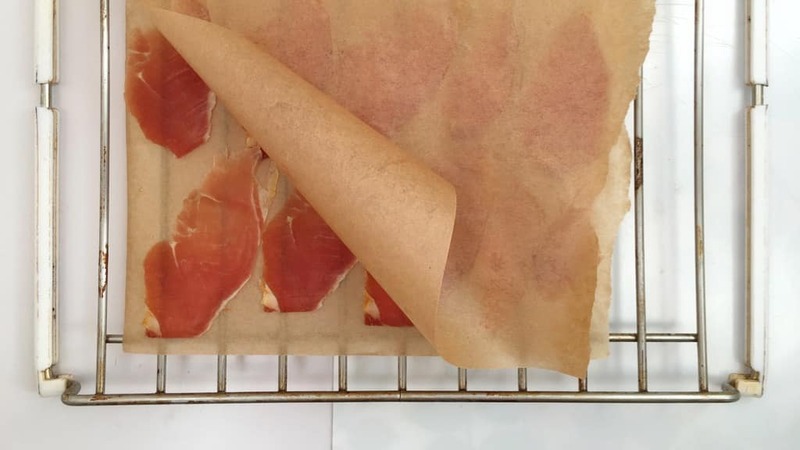 Place the ham slices on some parchment paper. Cover with another sheet of parchment paper. 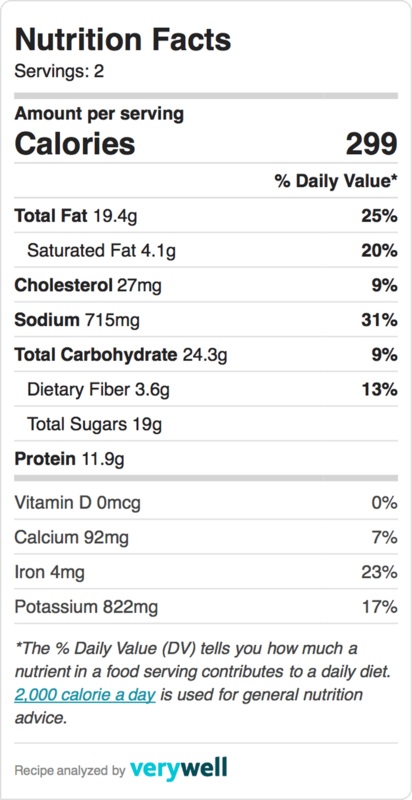 Put the ham on an oven rack and bake it in a preheated oven at 256°F (180°C) for 15 to 20 minutes until crisp. Remove the ham and let it cool down fully. Pour the melon soup into large bowls and garnish with crumbled baked ham. Finish with a sprinkle of olive oil, finely diced melon and fresh parsley. Serve cold.